Music is like a bookmark for time. It can take you back to a moment or capture an emotional feeling for an entire era. It’s amazing to see the evolution of music and hearing bands that make comebacks or breakthroughs with an album that is released each Friday morning. Sometimes, like with Dinosaur Jr., I am amazed they’re still putting out new albums – they were a ragged T-shirt legacy band when I was in grade school! But, they’re still kicking. Other bands I am just shocked that they’ve never been on my radar, there’s at least one each week and this week there are a few. Enjoy this musical journey each week as I check out the best new music released each week. Connect with #TheHighNote on Facebook, Twitter, Google+, Instagram and Pinterest. Listen to this week’s new tunes on the Spotify and Tidal playlists. Legendary alt-rock band Dinosaur Jr. regrouped in 2005 and since, they have released three albums that barely held a candle to the magic captured on the those first three albums released between 1985-1988. That was until “Give a Glimpse of What Yer Not,” released Friday, Aug. 5. From the first single, “Tiny,” the band’s original members have recaptured the feeling from those fuzzy guitar solos and classic rock riffs. The band changed it’s form after a tumultuous time over the years with Lou Barlow and Murph eventually pretty much leaving J Mascis on his own until he retired the name in 1997. See Henry Rollins Interview Dinosaur Jr. Friday, Sept. 9 at the 9:30 Club in Washington D.C. Get “Give a Glimpse of What Yer Not” from Dinosaur Jr., Bandcamp, iTunes, Amazon, Google Play, Spotify and Tidal. 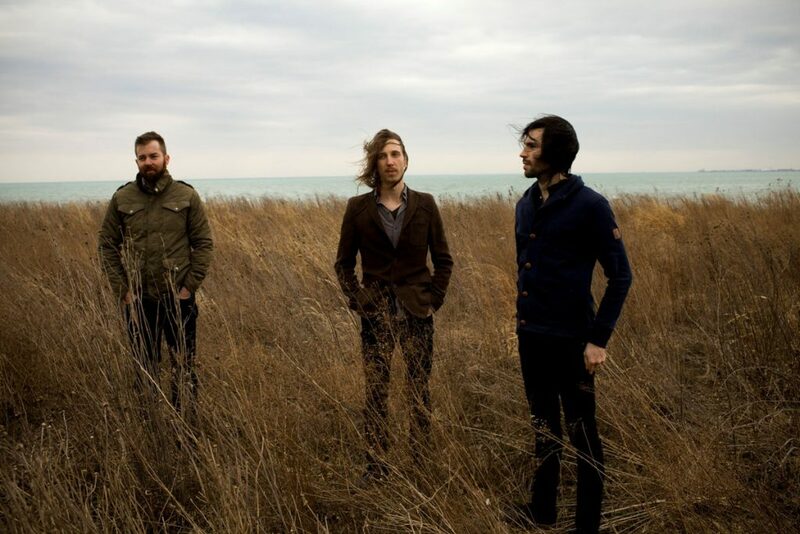 Instrumental post-metal band Russian Circles unleashed an avalanche of a sixth album, “Guidance,” released Friday, Aug. 5. Consisting of seven beautifully orchestrated tracks that range from light and airy moments to deep furious drum-and-guitar breakdowns, “Guidance,” is an incredible force from the Chicago trio. The tracks have a jammy quality to them and unfold over layers of guitar riffs and bass lines. See Russian Circles Thursday, Sept. 29 at Union Transfer in Philadelphia, Pennsylvania and Friday, Sept. 30 at Warsaw in Brooklyn, New York. Get “Guidance” from Russian Circles, Bandcamp, iTunes, Amazon, Google Play, Spotify and Tidal. Indie-folk singer-songwriter Haley Bonar sounds like she knows exactly what she wants, but doesn’t know how to get it on her latest album, “Impossible Dream,” released Friday, Aug. 5. Bonar, a Canadian-born, Minnesota-based takes her slices of reality and pairs them up with the parallel of past hopes and future dreams for this sonically lo-fi, folksy album. She lays it all out there on songs like “Kismet Kill,” exposing all those raw nerves, emotions and mistakes as well as the places she should have went or wishes she should be. At 10 tracks, these songs range from topics of growing up with angst, teenage motherhood and trying to handle the complications of adulthood. See Haley Bonar Thursday, Sept. 8 at World Cafe Live in Philadelphia, Pennsylvania and Tuesday, Sept. 13 at the Knitting Factory in Brooklyn, New York. Get “Impossible Dream” from Haley Bonar, iTunes, Amazon, Google Play, Spotify and Tidal. French electronic music producer DJ Snake, probably known best for the singles “Turn Down For What” and “Get Low,” released his debut album, “Encore,” Friday, Aug. 5. Using his blend of electronic beats and hip hop swagger, DJ Snake takes on a tropical house style similar to Kygo for this album, but uses a slower, R&B-influenced sound. The first single, “Middle” featuring Bipolar Sunshine, layers a chilled out loop of beats, a sweet melody and hopeful lyrics. On “Talk,” featuring George Maple, the beats fuse together into a kind of jiggling mind jelly perfect for hot summer night clubs. Get “Encore” from iTunes, Amazon, Google Play, Spotify and Tidal. But wait, that’s it? What about the Frank Ocean album, “Boys Don’t Cry,” that the Internet is buzzing about? I’m sure that’s what you’re saying because that’s what I’m thinking. Well, as of this writing it has not yet been released, as it was expected, on Apple Music. But, check back for an update.